Southport Flower Show is the largest independent flower show in the country, attracting over 50,000 visitors across 4 days. One of the show’s highlights is the spectacular Grand Floral Marquee. It’s a treasure trove of quality plants and flowers, trees and shrubs, bonsai, cacti, vegetables and herbs. 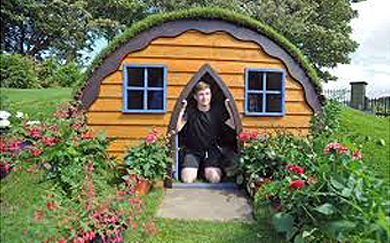 Southport Flower Show is the largest independent flower show in the country, this year it celebrates its 90th year and the theme is The Garden Party. This superb event staged on Victoria Park features magnificent floral marquees, award-winning show gardens and celebrities both television gardening hosts and television chefs! 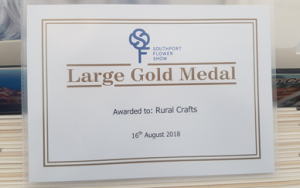 We have a superb site opposite one of the entrances to the large floral marquee and our pavilion presents your work to a very high standard with a level floor and carpet – 2018 saw us winners of a gold medal for the pavilion. 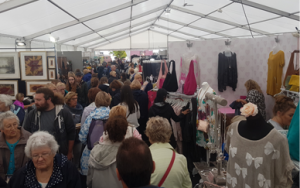 The organisers are exceptionally helpful and keen to make the event work for everyone, this produces a friendly, professional environment in which to work and an excellent visitor profile. Our pavilion is on a main avenue however we also have the arrangement to bring in our vehicles for pack down, making this an enjoyable and profitable event.